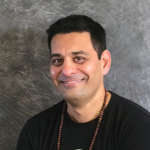 “Yoga has been a life saver for me and has helped me maintain and pursue a hyper-active lifestyle and be in an always-happy state of mind and heart.” —Sandeep enjoys telling stories! Born in Arizona, Sandeep grew up in India, returning to the US as a 21 year old. Educated with a BS (Mathematics, Chemistry & Physics) and an MBA (Marketing, Finance), he found his early beginnings in Sales. A competitive Cricket player in India (Cricket, not Croquet) Sandeep continued playing the sport here in the US, eventually earning a spot on the US National Cricket team. Somewhere along this journey, he picked up marathon running as an activity to stay fit. He ran his last (51st) race in 2015 with his daughter. Yoga and Swimming are his routines now. During work travels and family vacations he finds joy in doing headstands in odd places and taking classes at local yoga studios. 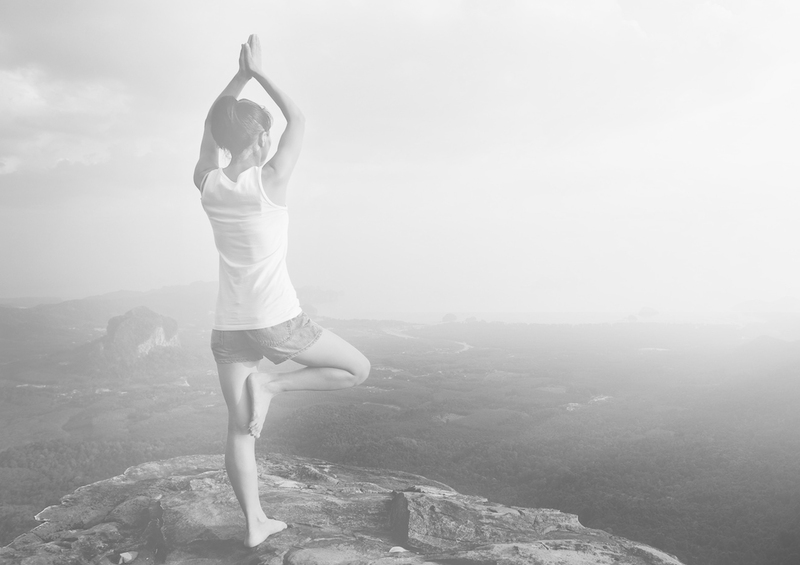 Sandeep believes that yoga is a very unique philosophy, the benefits of which go beyond the postures, delivering a quantifiable positive impact: empowering us to overcome obstacles and be fearless. “When we listen from our heart, stay calm in our mind and be happy in our soul, complex problems can be solved with relative ease.” As a VP of Sales for a software company, Sandeep has infused principles of yoga into his workplace with his team and also his customers.